The signs have been hanging for months, leaving us all in an anxious state as we patiently awaited the opening of one of the greatest home stores in our great county. No need to fear the wait is over, HomeGoods the national home décor chain claiming “Something for every room at up to 60% off everyday” opened its doors in Avon this past Sunday. I can’t tell you the excitement I had when I first heard that this great store was coming to Hendricks County. What a perfect thing to have just a few miles from my front door, especially when I am in the midst of decorating my house on a dime. I put the opening date of October 22nd in my phone and vowed to be at the grand opening. (I had to cover it for you guys right? That’s what I told my husband anyway.) 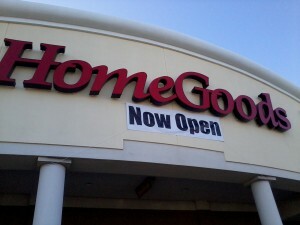 We made it to the grand opening on the morning of the 22nd and were greeted by several friendly HomeGoods employees. It was clear upon arrival that we were not the only ones excited about the opening of HomeGoods in the Hendricks County area. The store was packed, I mean black Friday packed. I didn’t let the hustle and bustle deter me. I had my husband grab a cart, we loaded in our daughter in arm with Mickey Mouse on my phone and made our way through the wonderful world of HomeGoods. 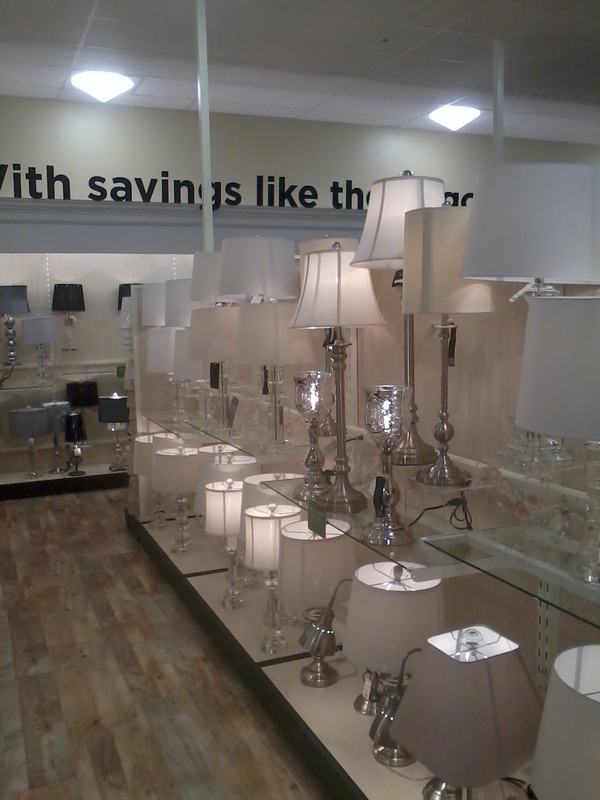 For those who have never visited a HomeGoods store, it is a great mix of any housewares item you could think of. They have everything from décor to bedding to cookware to seasonal decorations. HomeGoods is known for selling high-end, brand-name items at a fraction of the cost of department stores. HomeGoods is a TJX company meaning they are a housewares sister to TJMaxx. The new Avon store is set up beautifully. It is spacious and well thought out. The store is located in the Target Shopping Plaza off Rockville Road in Avon. The first thing that caught my eye upon entering the store is a great selection of Christmas decorations. I’m really not into being festive this early in the season but with the great selection and at a great price why not? I zoned in on a few things I was looking for and also found things neatly organized and a wide range of selections. This store had so many great deals and items that it was hard for me focus on the things I really wanted. I finally made my choices and settled on a few perfect finds. Mickey Mouse Clubhouse was almost over so it was about time to leave. 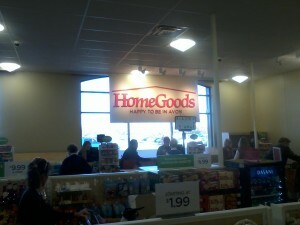 HomeGoods is a wonderful addition to Hendricks County. With all the new shops we have been getting lately, it looks like I may never have to leave town again, and this gives just another option to our visitors as Hendricks County&apos;s attractions keep growing. Whether from our county or not you must make the trek to come and visit this great store. You will not be disappointed, I guarantee it! Have you visited HomeGoods? I want to know about the great deals you have found, please share below in the comments section!